Tea Infusion - Your guide to the world of tea! Do you love to start your day with a hot cup of English Breakfast in the morning? 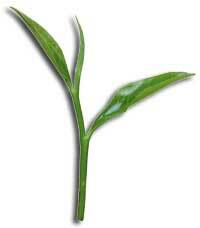 Maybe you enjoy taking a quiet moment out in the evening to relax with a cleansing green tea infusion? Or perhaps you have been attracted to the many health benefits of drinking tea and seek to improve your lifestyle and vitality? All you need to know about tea! Here at Tea Infusion you will find a virtual treasure-trove of information on every aspect of tea - from the very beginnings of the history of tea to the amazing depth and variety of tea culture all around the world. Learn all about the many different types of tea and the health benefits of each and also the history of many popular brands of tea that are available today. Tea has had a long history behind it, having been drunk as far back as 1000BC! Find out all about the fascinating beginnings of the history of tea as it evolved from humble beginnings into the very fabric of cultures all around the world. Tea plays a very important part in the rituals and customs of people from all around the world. Read about some of the fascinating history and stories surrounding tea culture. There are literally hundreds of types of tea available around the world today. In this section you will find information on appearances, flavors, characteristics, preparation methods and health benefits on almost every type of tea! There are many different brands of tea available today. Here we review the fascinating history behind some of the more popular brands. 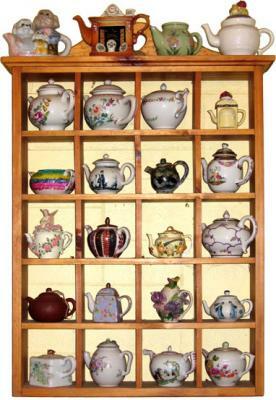 Teapots, tea cups, tea kettles and other items all serve to make the tea experience complete. Learn how to choose the right tea accessories for you. An essential piece of any tea-drinker's kitchen is the teapot, and if you are a true tea connoisseur then chances are you have more than one! Teapot collecting can be a joy for anyone with an interest in tea, so be sure to check out the teapot galleries to view some of the more creative, exotic and unusual teapots that other tea enthusiasts have found! Share your passion for tea! Tea Infusion is an online community where you are encouraged to share your thoughts and opinions openly with other tea lovers. If you feel you have something to say on a particular topic, why not start a discussion by using the the add comment links found at the bottom of each page! Alternatively, if you have any other news, information or tips relating to tea, or comments or suggestions on the site, please make sure to let us know!